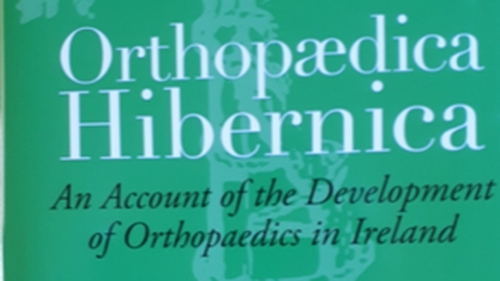 A new book on the development of orthopaedics in Ireland is being launched today in Dublin at the Royal College of Surgeons in Ireland. It has been edited by Doctors David J Fitzpatrick, Esmond Fogarty and James Nixon. In the late 19th and early 20th century, orthopaedic surgery tended to be directed primarily towards the correction of deformities, both congenital and acquired. Later the management of tuberculous problems were rampant and then Ireland had to deal with the polio epidemics of the 1940s and 1950s, which caused many limb and spinal deformities requiring surgical correction. As these problems became less prevalent, the development of anaesthetic techniques, antisepsis and the use of antibiotics enabled the successful performance of more complex orthopaedic procedures. Then total joint replacement, in its infancy in the 1950s and 1960s, became routine, beginning with hip replacement, one of the most successful procedures practiced in any field of surgery. In the field of trauma, the system of internal fixation of fractures was developed. Operative orthopaedics has changed beyond recognition and the level of morbidity and mortality has reduced here as a result. 'Orthopaedica Hibernica' is published by A&A Farmar.